On the evening of Sunday 29th October there was a clear night. The downside to this was on the morning of 30th October I had ice on my car for the first time this autumn. I decided to firstly try looking at the Moon through Big Henry but the light of the half moon was too intense. 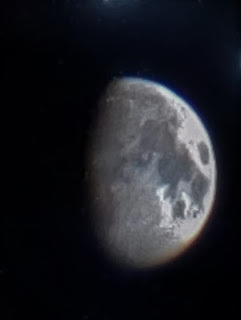 Using Lunapics I cropped and reduced the brightness levels to get the image below. Not perfect but encouraging. By this time the Pleiades had appeared over the roof of a neighbour's house which made them easy to locate. 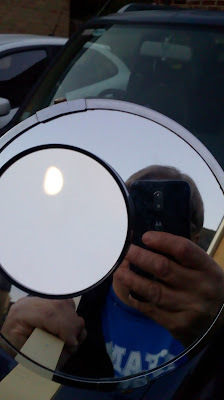 I managed to take the photo below using Big Henry and my Canon Ixus 160. I also used the camera's blur reduction setting. 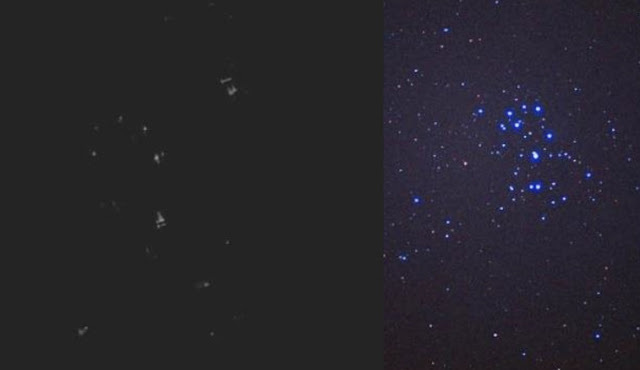 I found that the night sky setting gave poor results when the camera and telescope were both handheld. 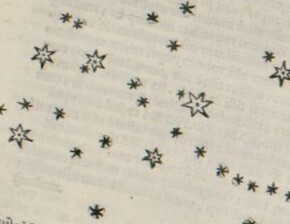 Galileo observed the Pleiades and drew the six main stars in his Sidereus Nuncius. Galileo comments that the seventh star of the Pleiades rarely appears and he calls the star cluster the six stars of the bull. Usually people can see between six and nine stars with the unaided eye. Galileo recorded that he could see about 40 stars with his telescope. 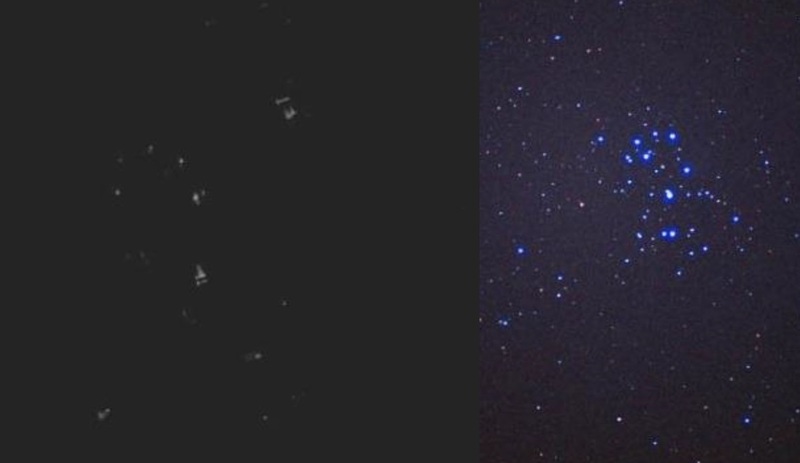 My image is on the left and on the right is a stock image taken with a high resolution telescope. My image also gives a reasonably good match to Galileo's drawing in Sidereus Nuncius if aberration is taken into account. I could not see 40 stars but Big Henry did image about 20 stars that were invisible to the naked eye which demonstrates that Tudor technology could reveal new details of the night sky. Shakespeare may be referring to the Pleiades in King Lear in the following dialogue between Lear and his fool in Act 1 Scene 5 about seven stars. Although the Pleiades are not mentioned by name in King Lear the audience would have picked up the reference to the seven stars (the Plough which also has seven stars is referred to as Charles' Wain by Shakespeare). are no more than seven is a pretty reason." Lear "Because they are not eight." Fool "Yes Indeed. Thou wouldst make a good fool."